Shaoxing City Ai Ying De Packaging Co., Ltd. It can reduce the risk of injury from slips and falls when walking on ice, snow, mud, wet grass and other poor conditions. Lightweight design allows you to walk naturally, easily fit over your outdoor shoes or boots. All of these characteristics will make it stand out from similar products, it is the super equipment for outdoor enthusiasts. 2.High quality,Fast delivery,Good seviece. 3.With the sincerity and friends ,Trade business then . 6,High Quality,Quick Delivery,Good Service . 4. Competitive price and great quality we manufacture ourselves and supplied by our brother factory which both save cost and provide high quality products. 7. Air and sea shipment We have long term contract with a reputable logistics company who provide us good service with low cost. 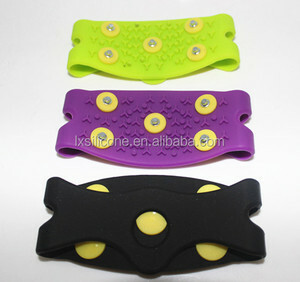 is a high quality silicone cooperation enterprise which combines design, manufacture with sales. 1.Fashion design 2.Flat-heel shoes 3.Zipper closure 4.High quality material to keep your shoe clean and dry 5.Different size ,color,design available 6.Logo printing is available Our Strangths 1.All of your inquires will be replied very quickly. 2.We are direct factory and are able to offer competitive price. 3.We can make samples based on your requirements within 7-10 days. With large capacity of all kinds of fishing tackles,we have been the main suppliers of many foreign wholesaler and importers. Our goal is suppling the best quality products to our customer at the best price. Through so many years hard working,we have won good reputation in fishing tackle area. 3. New Items: We provide our own designed products to our customers every month. 1)Q: Are you a factory or trading company9 A:We have our own factory in Ningbo(cixi) China. 4) Q:How does your factory do regarding quality control9 A:Quality is priority! 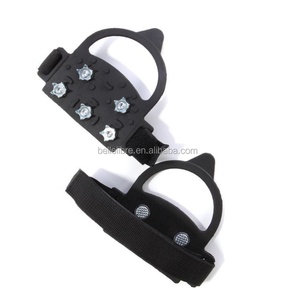 Alibaba.com offers 1,378 ice shoe cover products. About 48% of these are safety shoes, 3% are other safety products, and 1% are rain boots. A wide variety of ice shoe cover options are available to you, such as unisex, women, and men. You can also choose from rubber, tpr. As well as from anti-static, steel toe, and insulative. 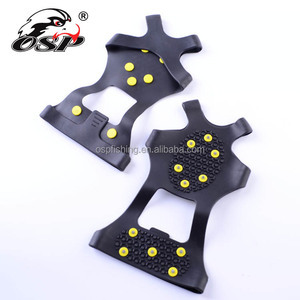 And whether ice shoe cover is pu, or pvc. 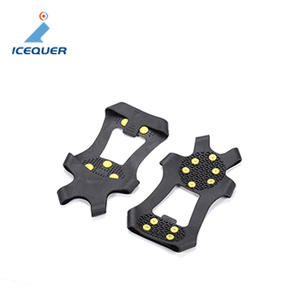 There are 1,314 ice shoe cover suppliers, mainly located in Asia. The top supplying countries are China (Mainland), Taiwan, and Pakistan, which supply 98%, 1%, and 1% of ice shoe cover respectively. 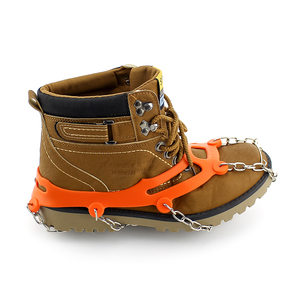 Ice shoe cover products are most popular in Western Europe, North America, and Eastern Europe. You can ensure product safety by selecting from certified suppliers, including 121 with ISO9001, 80 with Other, and 26 with BSCI certification.